If you're looking for an indulgent and decadent blend that will have your mouth watering and your taste-buds wanting more, then the BordO2 Chateau BordO2 E-Liquid is the one for you! A smooth blend of peanut butter, cream and banana, this unique combination is a great burst of flavour! BordO2 are a French company who pride themselves on the class and quality of their products, producing great tasting e-liquids time and time again. 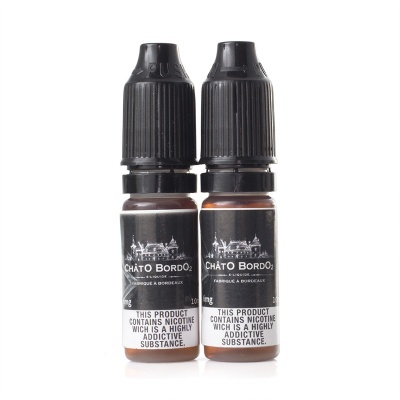 Chateau BordO2 E-Juice is available in a pack of two 10ml bottles, with a range of three nicotine flavours and a child-proof applicator supplied with every bottle. The Chateau BordO2 is a rich and creamy blend for a sensational treat. Peanut butter combined with banana is hardly a new combination, but adding in a swirl of cream takes this blend to the next level. Smooth and creamy, full of flavour and richness, this e-liquid of indulgence is the perfect treat. Chateau BordO2 has a combination of 50/50 (VG/PG) for a balanced blending experience. 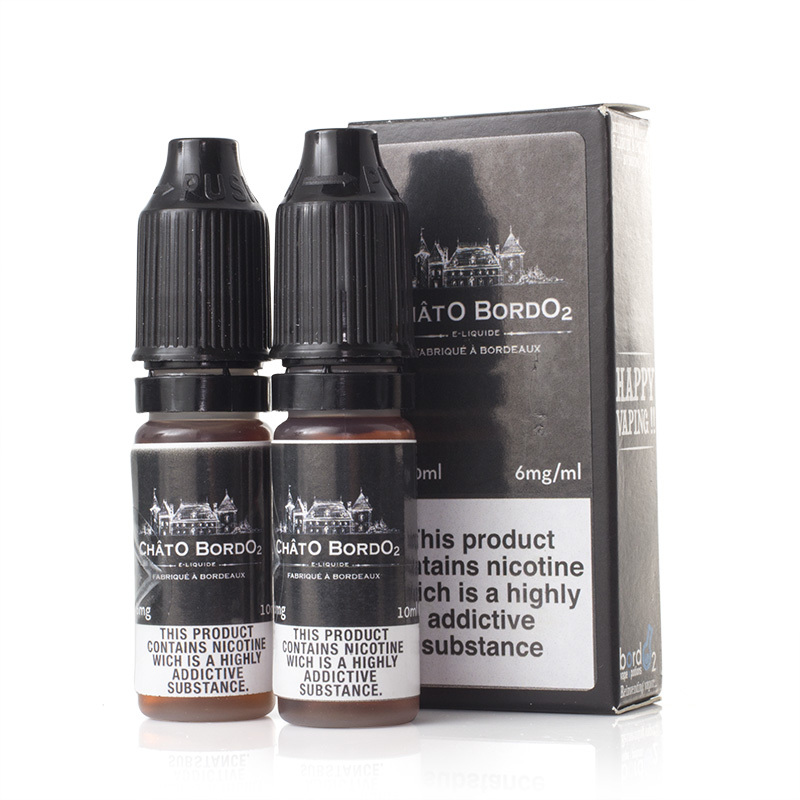 Chateau BordO2 E-Liquid is supplied in a pack of two 10ml bottles only. A lovely vape; I personally can't taste peanut butter or banana, but it's a very pleasant sort of savory (vs gak-sweet) vape. Recommended!